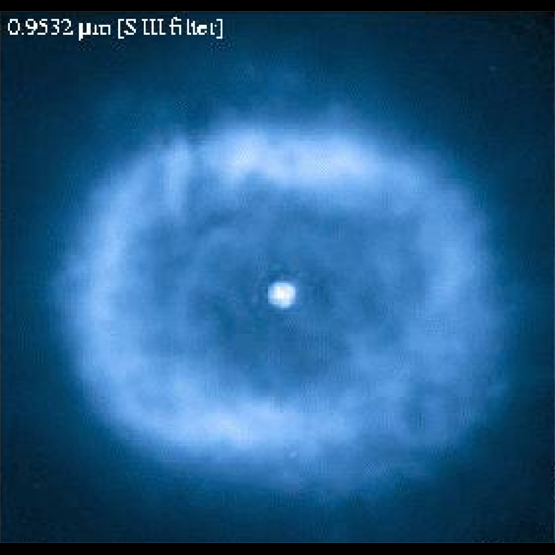 X-ray image of the Planetary Nebula BD+30 3639. 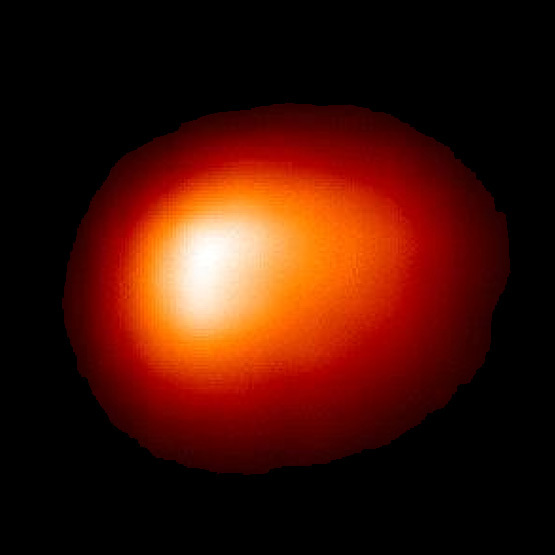 The Chandra image shows a hot bubble of 3 million degree Celsius gas surrounding a dying, Sun-like star that is about 5000 light years from Earth. The distance across the bubble is roughly 100 times the diameter of our solar system. A planetary nebula (so called because it looks like a planet when viewed with a small telescope) is formed when a dying red giant star puffs off its outer layer, leaving behind a hot core that will eventually collapse to form a dense star called a white dwarf. According to theory, a "hot bubble" is formed when a new, two million mile per hour wind emanating from the hot core rams into the ejected atmosphere and heats the interaction region to temperatures of millions of degrees. We are seeing the nebula about a thousand years after it formed. Scale Image is 6.6 arcsec across. Coordinates (J2000) RA 19h 34m 45.20s | Dec +30° 30' 59.10"